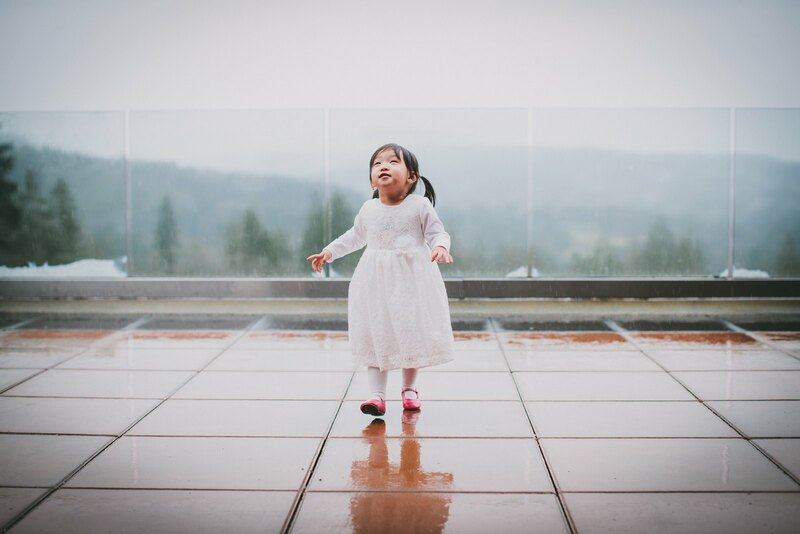 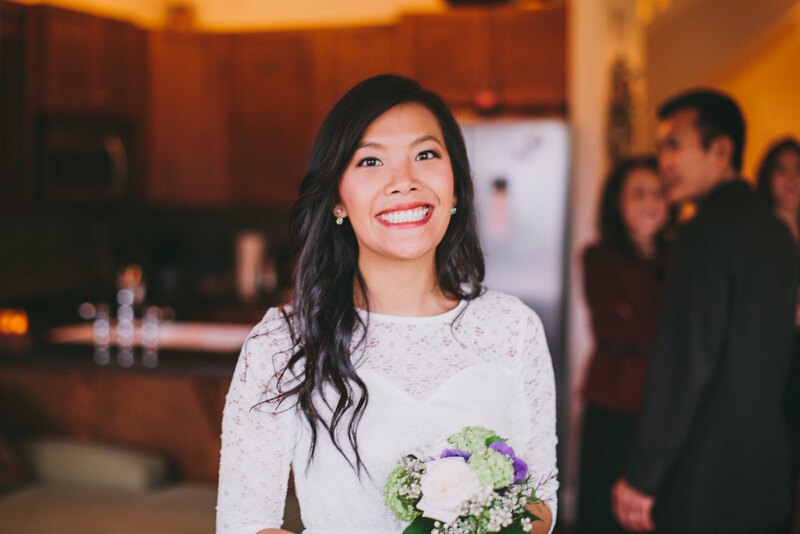 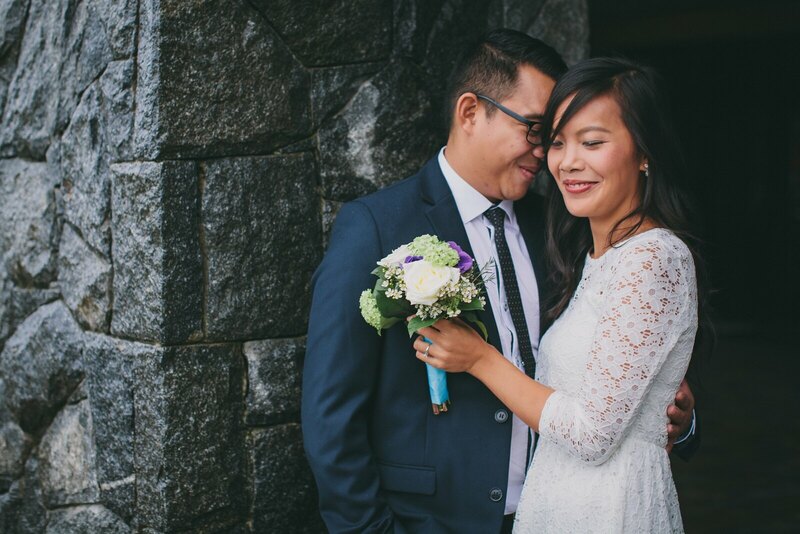 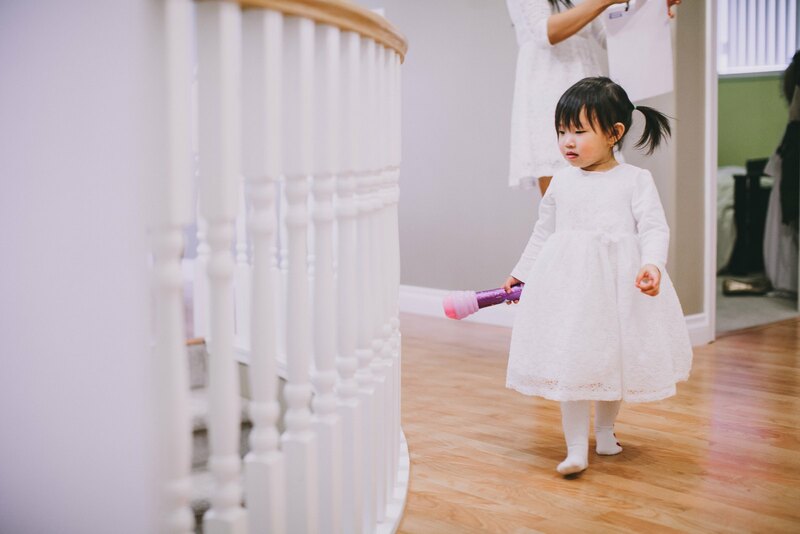 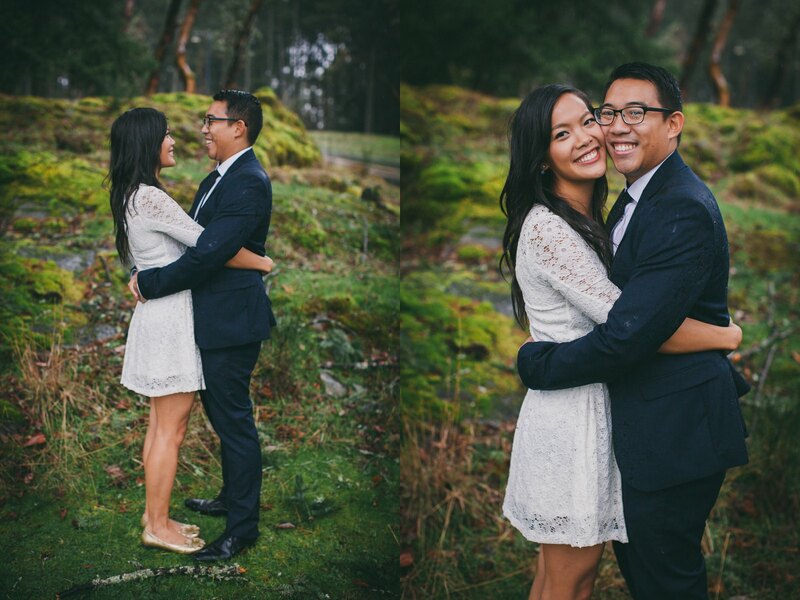 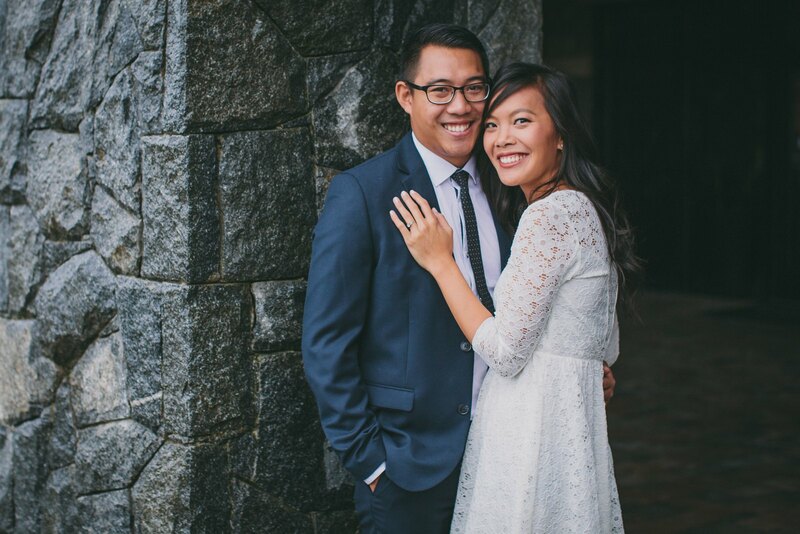 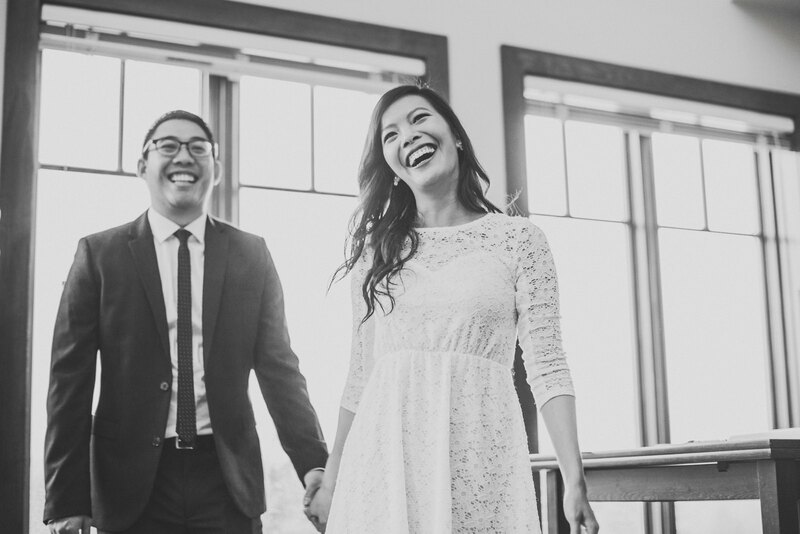 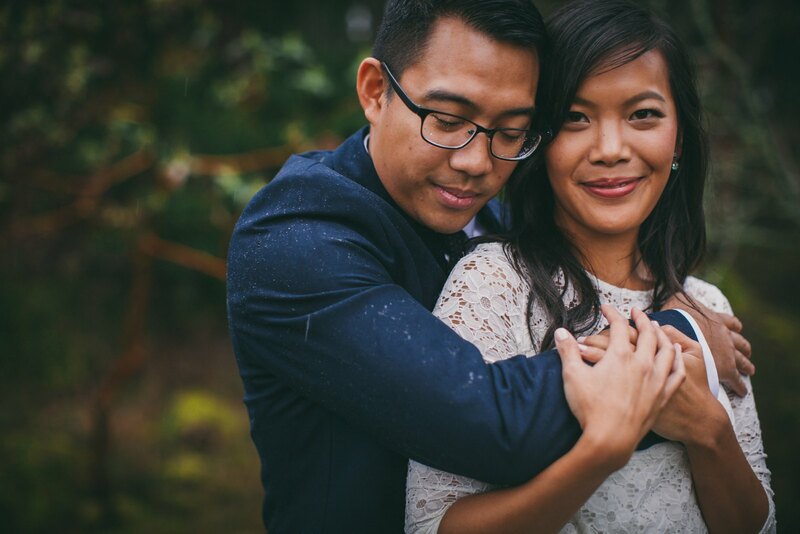 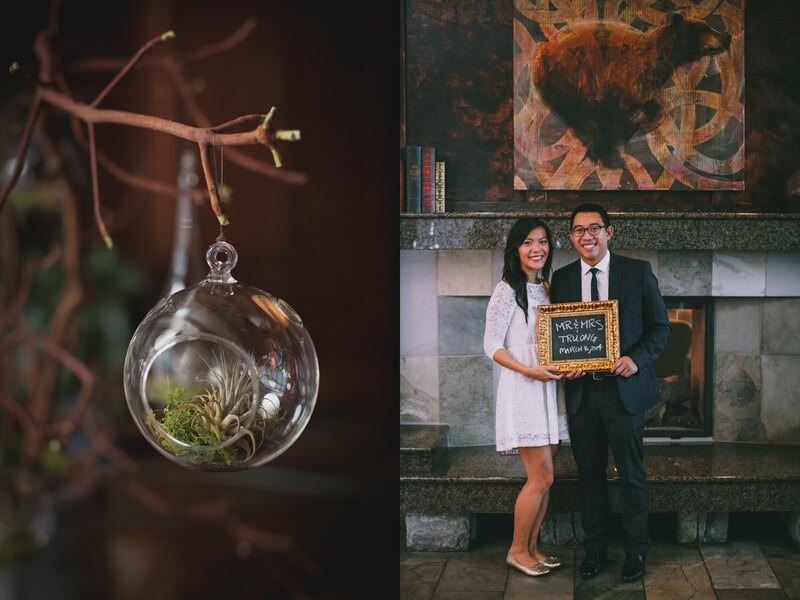 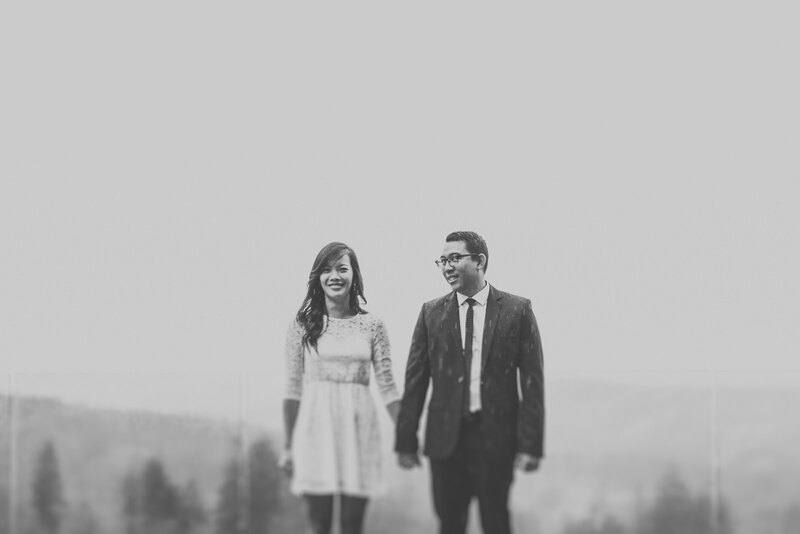 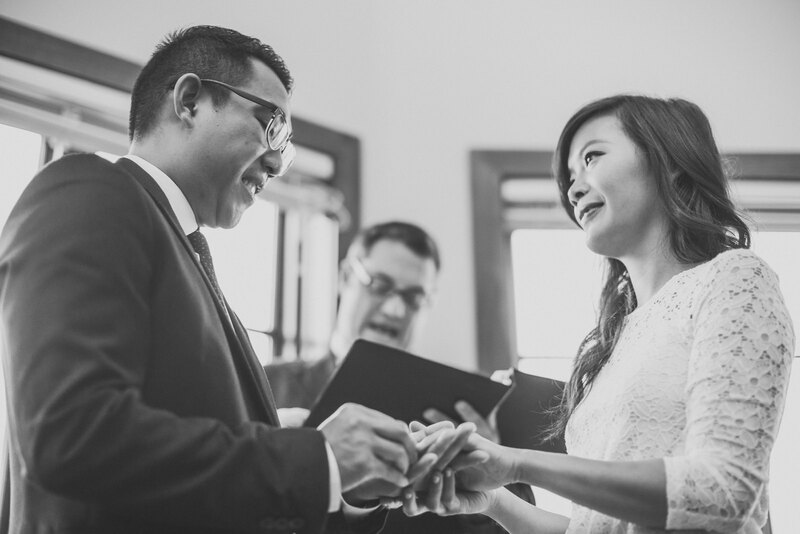 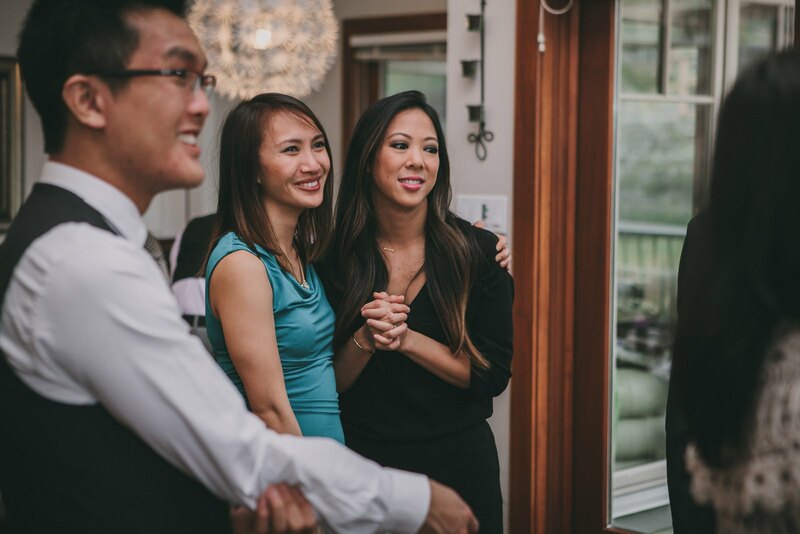 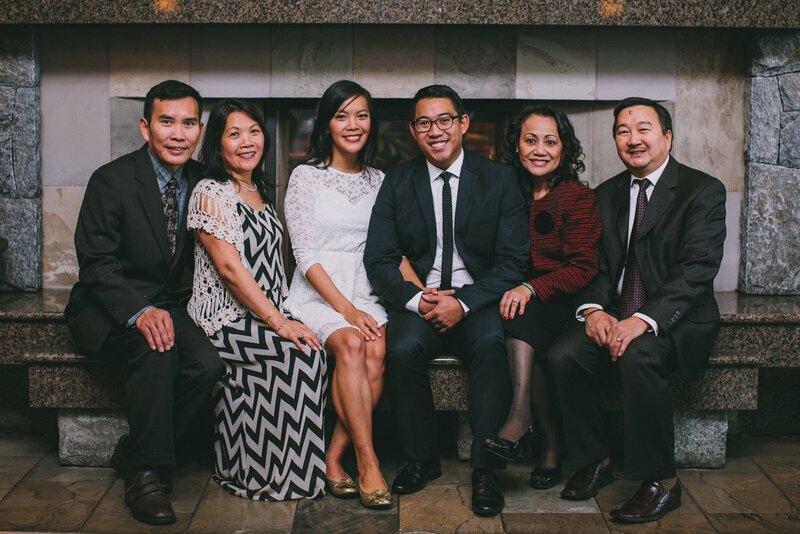 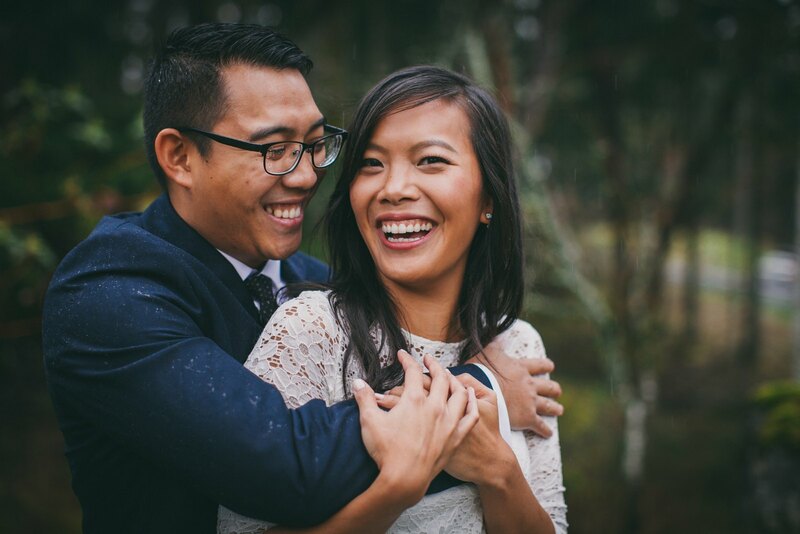 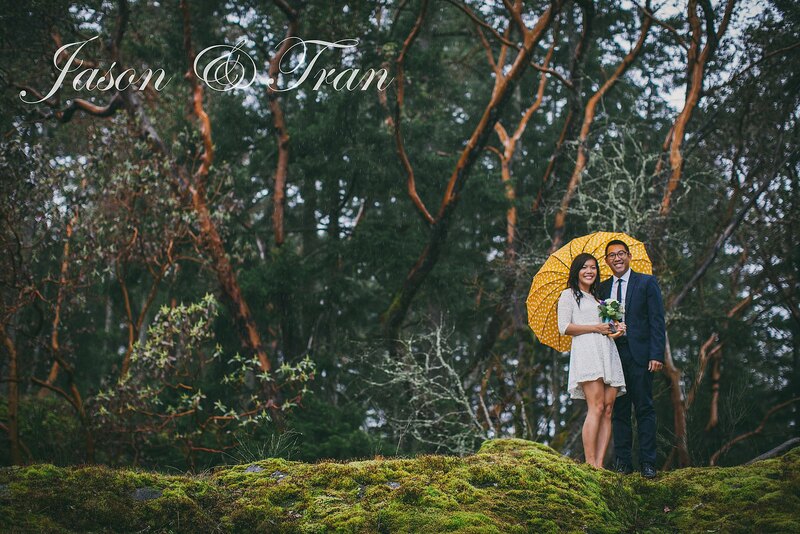 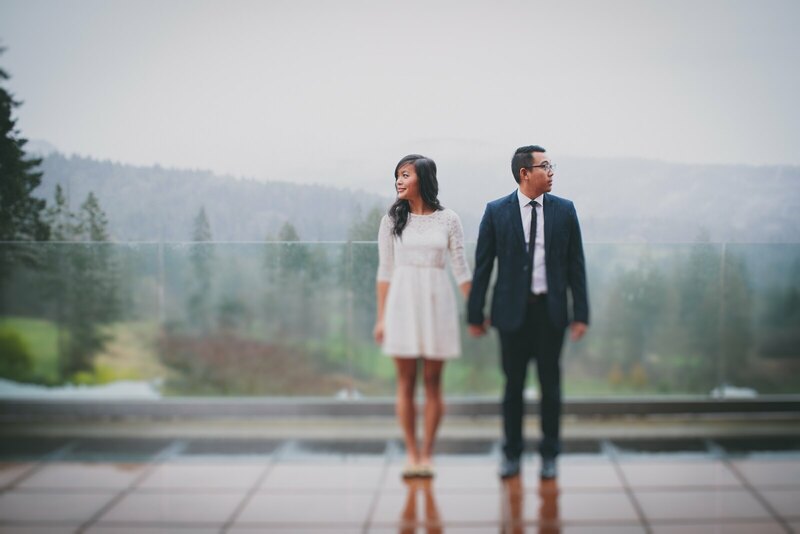 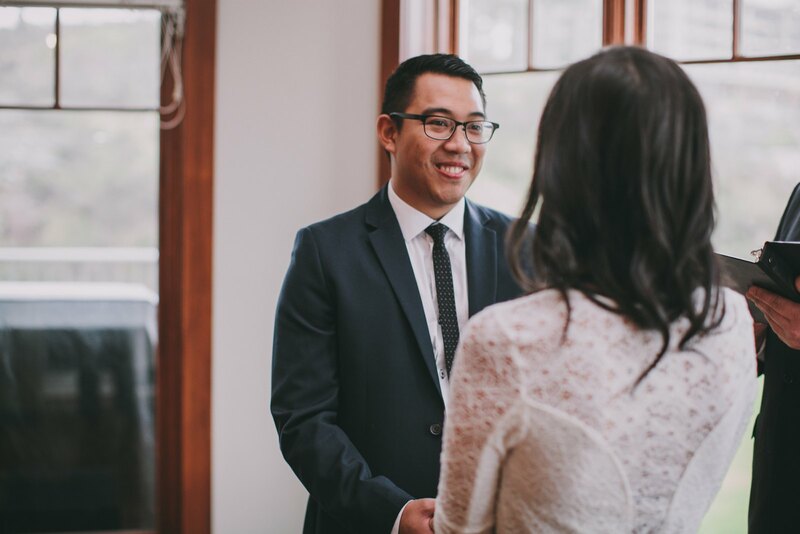 Jason + Tran's love story is an amazing one. 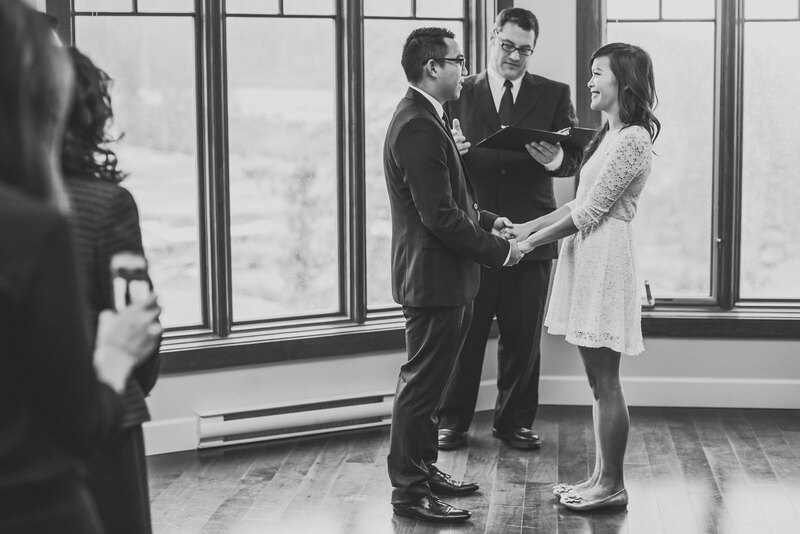 After meeting at a conference a few years ago, he, an American and she, a Canadian, have crossed international borders several times as they have journeyed together to get to this point. 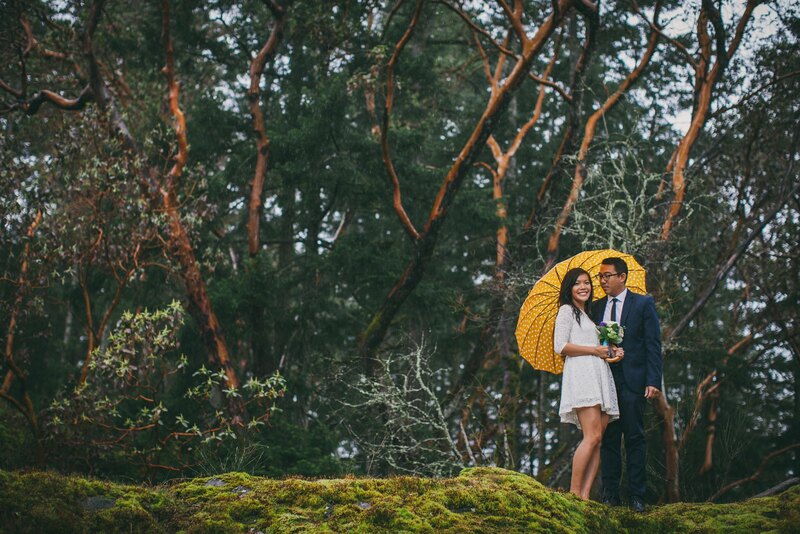 After Jason completely shocked Tran with a proposal at Datanla falls in Da Lat,Viet Nam it didn't take long for things to progress to the next step. 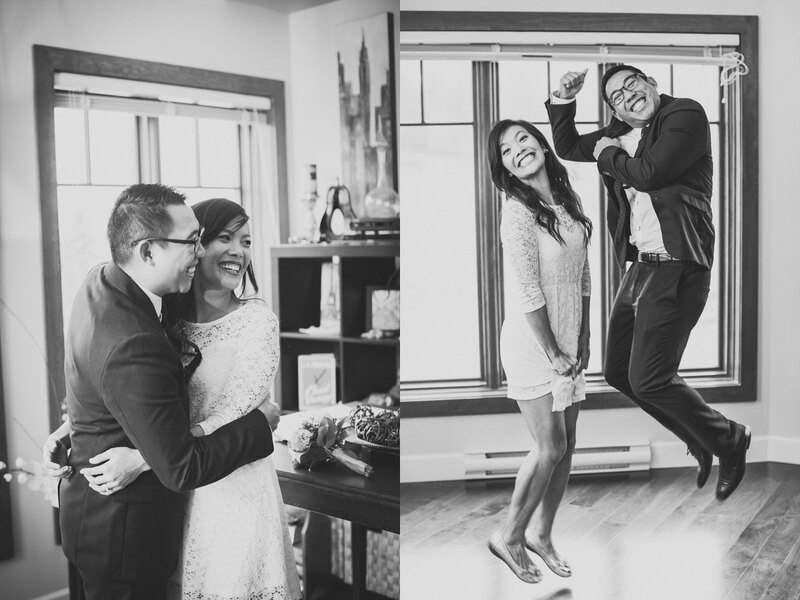 Tran shared with me in an email that: "We are a couple that loves adventure, and laughing at weird things. 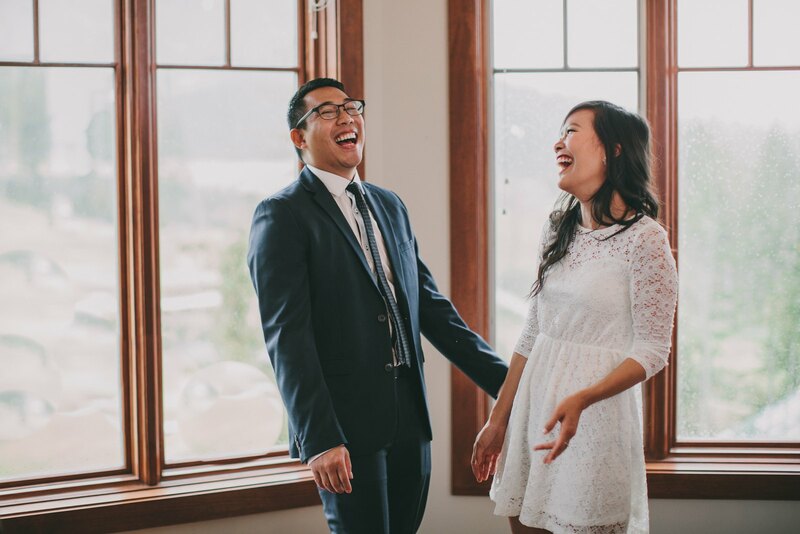 I'm just so excited to be marrying him!!!!" 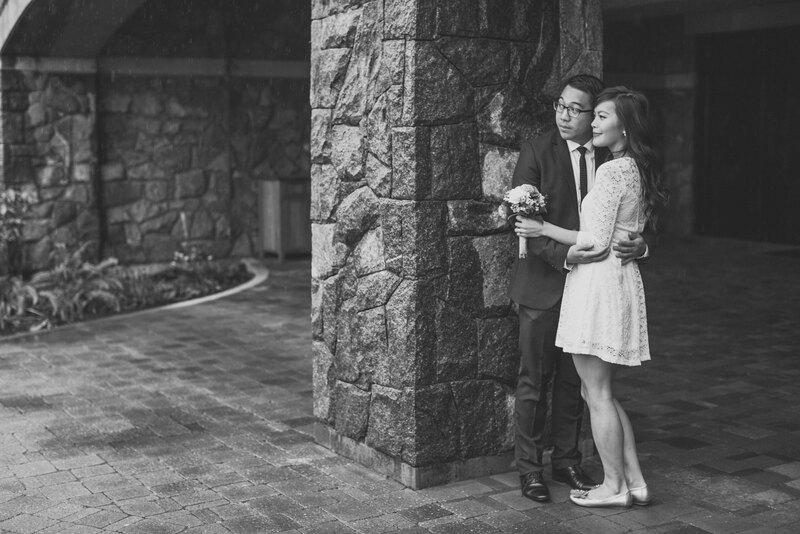 Their wedding was so beautiful. 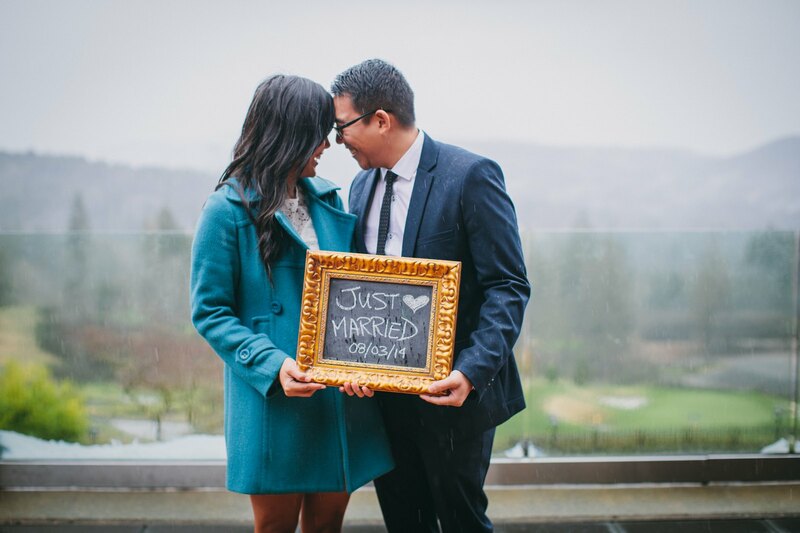 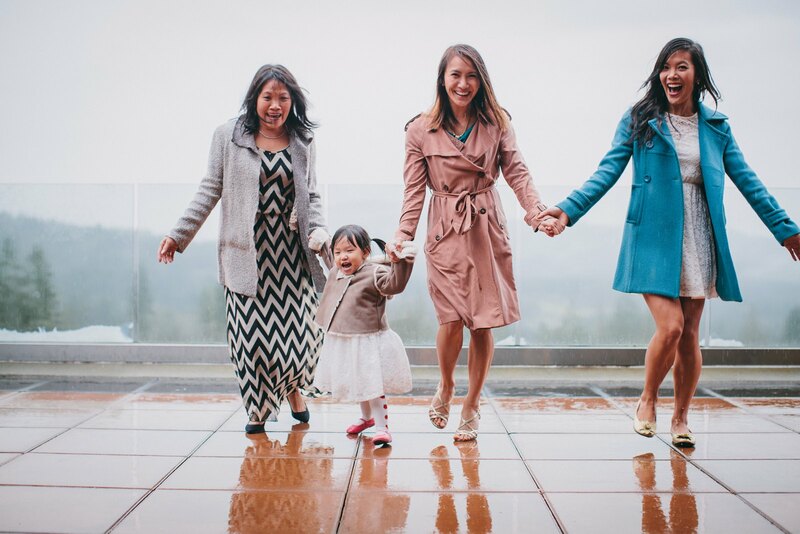 With only immediate family in attendance, the couple shared their vows over looking the grounds of Bear Mountain resort. 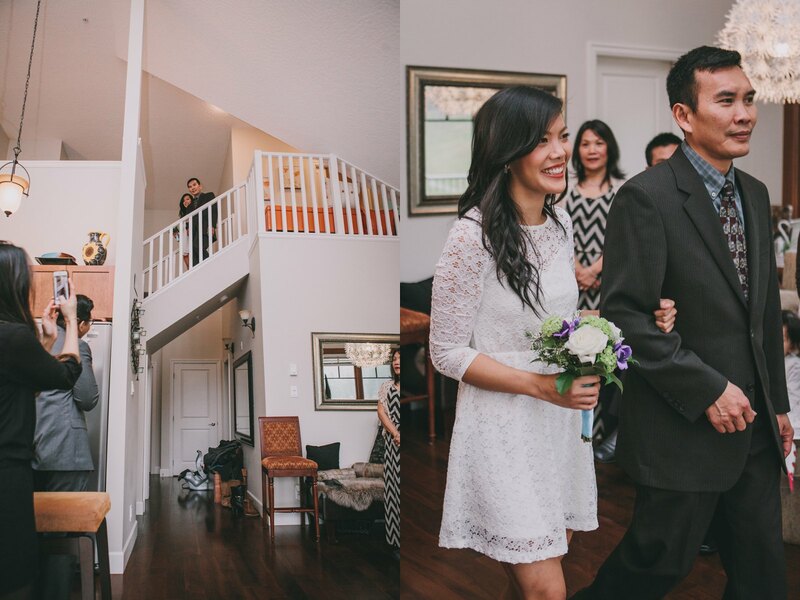 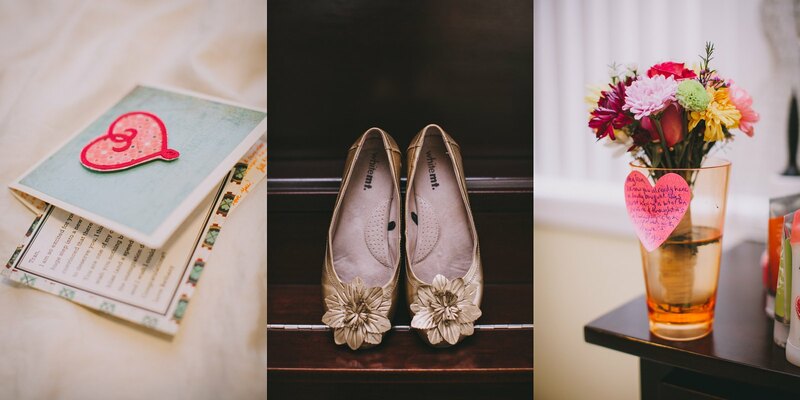 This was officially my shortest wedding ever, with just a couple hours to document all the sweetness around. 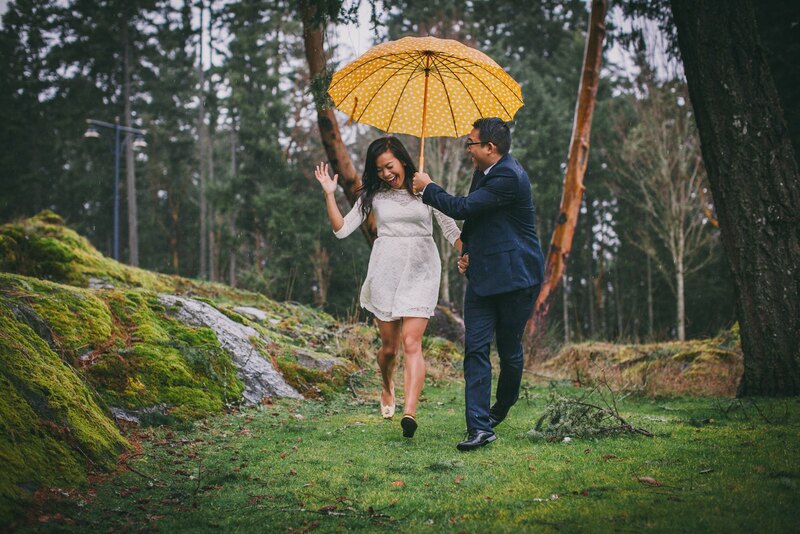 And the weather? 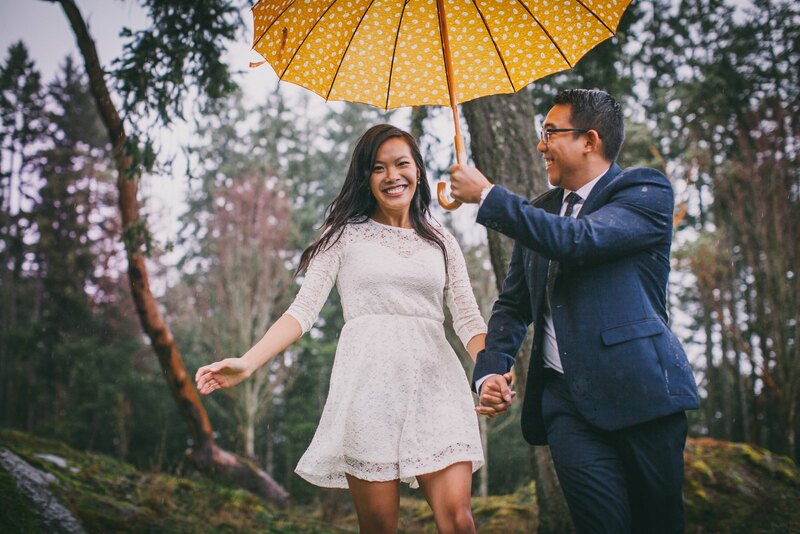 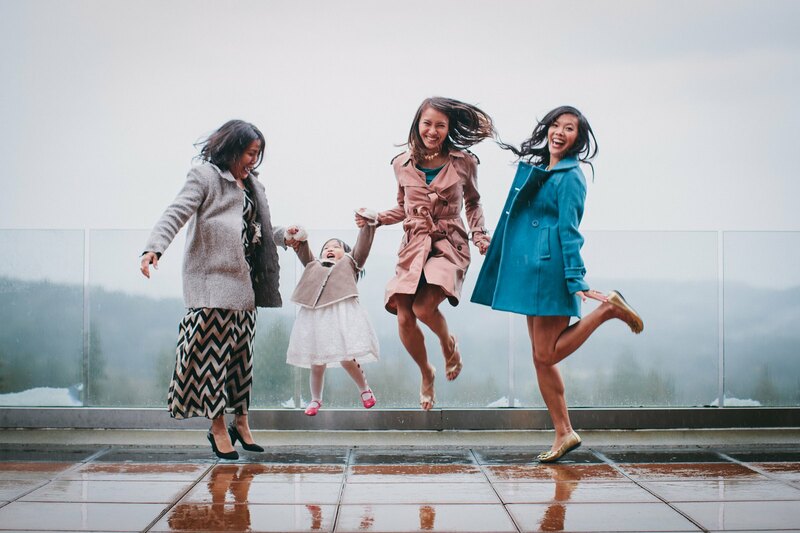 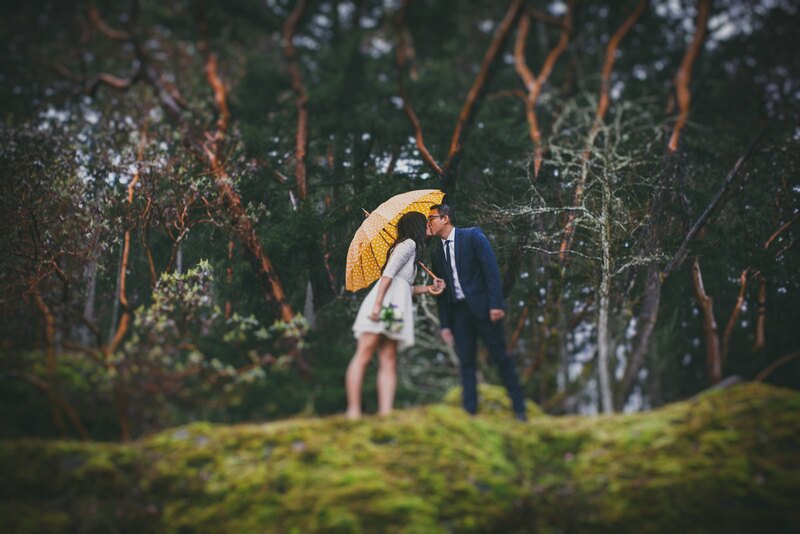 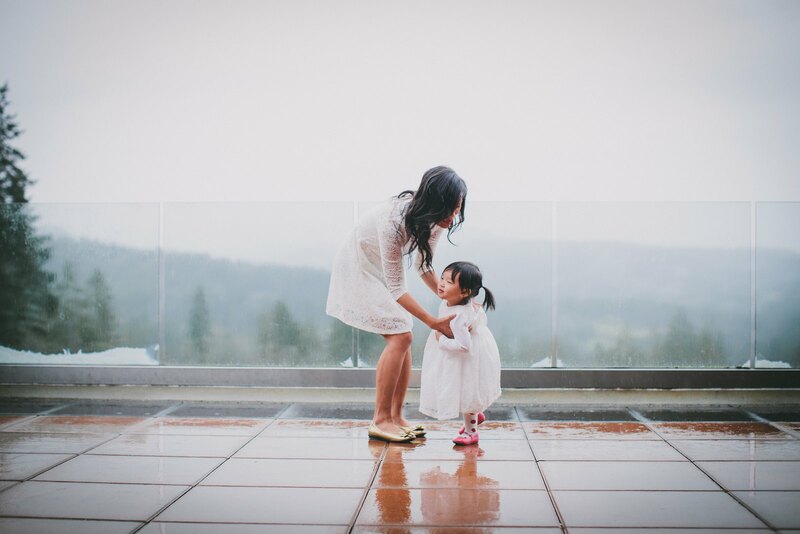 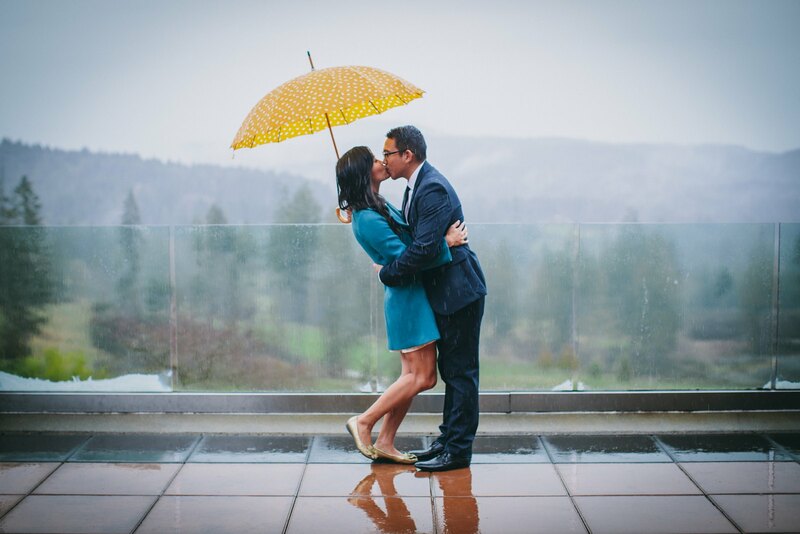 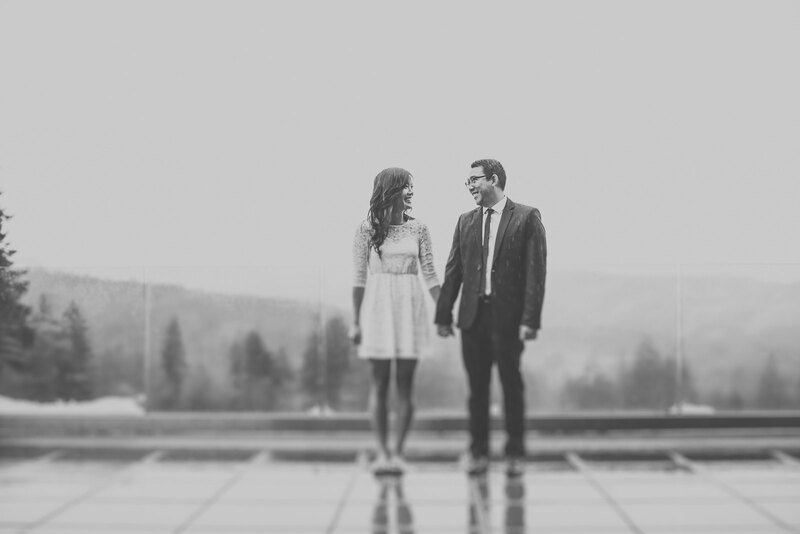 The rain did not even remotely stop this couple…in fact I'd say it just added to the beauty of the day! 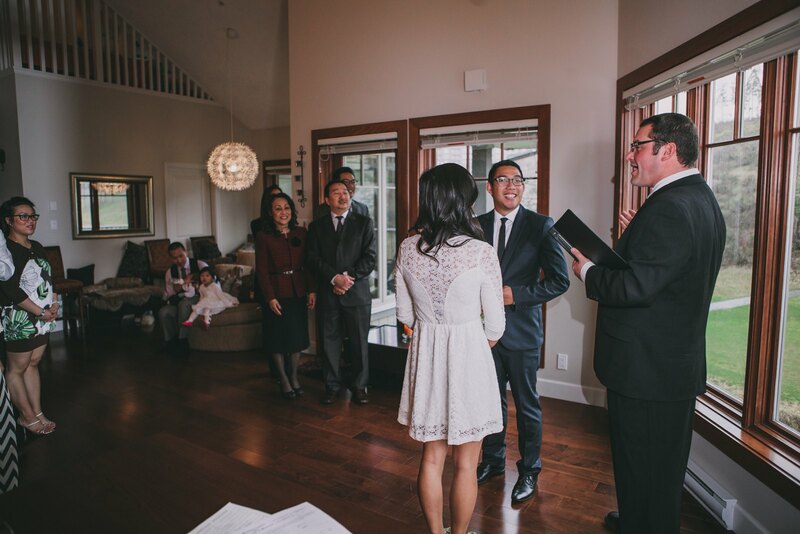 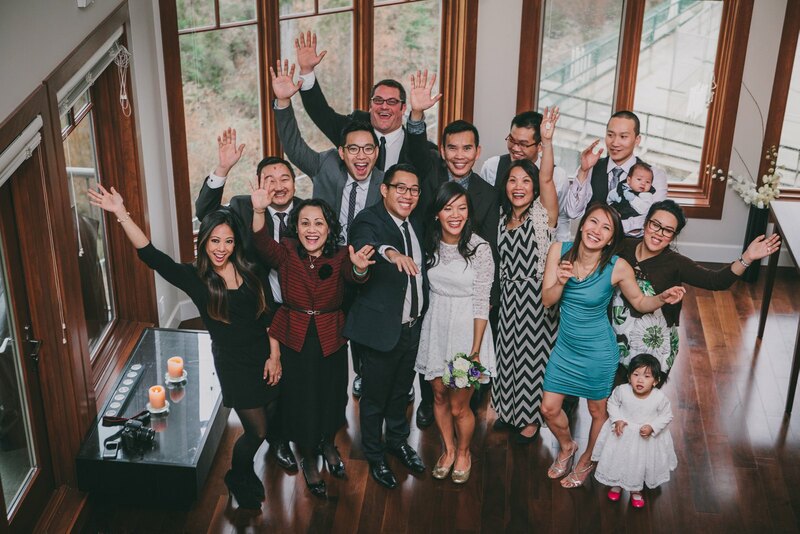 Congratulations and blessings Jason + Tran! 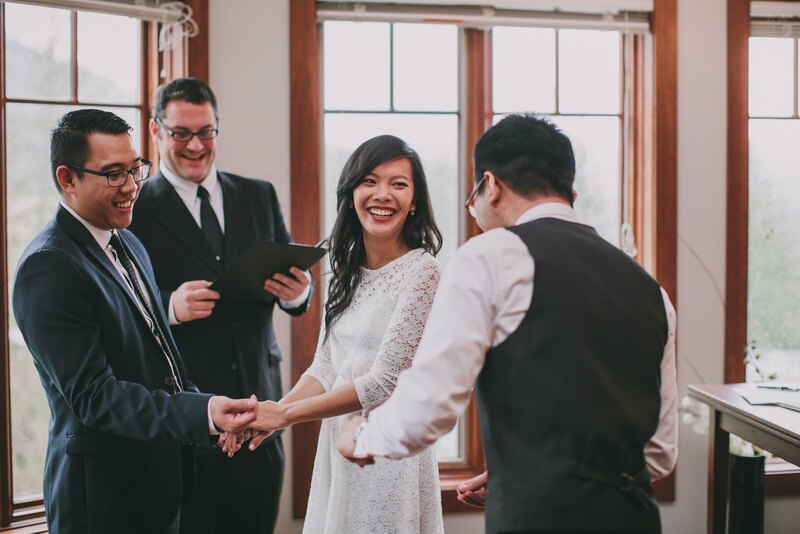 Thank you so much for allowing me to be a part of your day.